Getting to work and live in Keene, NH is one of the best parts of working for Paragon Digital. We get to tackle large impact marketing challenges while also getting to enjoy small town living. An important part of small town life is access to a thriving and unique Main Street. Keene’s downtown is made up of a wide variety of local, independent businesses. According to a recent study, businesses that are online grow 40% faster than those that aren’t (source: BCG Report, The Connected World). In an effort to give back to the town we love, Paragon teamed up with the New England Web & Tech Collective, The Center of Entrepreneurship at Hannah Grimes, and Google, to help get all of Keene’s Main Street businesses up-to-date online. These updated Google Business Listings make it easier for potential customers to find a business online, verify its contact information, and read reviews from other patrons. It’s a free and simple way to grow a business. In fact, businesses with complete Google Business Listings are 2x as likely to be considered reputable (source: Google/Oxera, The Benefits of Complete Business Listings, December 2014). Along with helping to get all their information up-to-date, we also took 360-degree interior photography of each business. This interior photography allows people searching for a business online to take a virtual tour from their computer or mobile device (similar to Google Street View). The results are pretty remarkable! Paragon is working with the New England Web & Tech Collective (NEWT) to find ways to continue and expand this project. 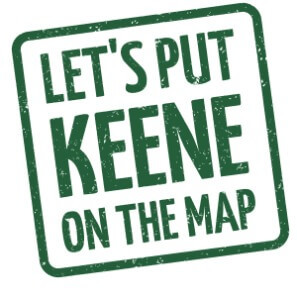 If you’re interested in helping to put Keene on the map, let us know by contacting NEWT. Head on over to the Google Get Your Business on the Map page and see if your Business Listing is complete. Search for your favorite Keene business on Google and write an honest, helpful review. Check out some of the 360-degree interiors views on the NEWT project page and let us know what you think in the comments.